In Las Vegas’ criminal justice system, the people are represented by two groups. One is the lawyers, who say that the Metropolitan Police Department has stepped up its procedure of running the license plates of cars stopped at traffic lights to look for outstanding warrants, particularly in the Downtown area. The other group is Metro itself. Here’s the scene: A Downtown resident is driving home from work when she’s pulled over for unknown reasons; her registration is current, and she’s broken no traffic laws. The warrant was for a traffic ticket she’d thought she’d paid in full but hadn’t, largely because of a misunderstanding. She was cuffed at roadside, booked and spent 14 hours in jail. “I started to crack a little bit after 12 hours,” she said, smiling wanly. The thing about going to jail is, even once your bail is paid, you have to wait your turn to be processed out—and sometimes that’s a long line. It’s within Metro’s mandate to check the plates of cars even if their drivers haven’t committed any infractions, Metro officer Jose Hernandez says. 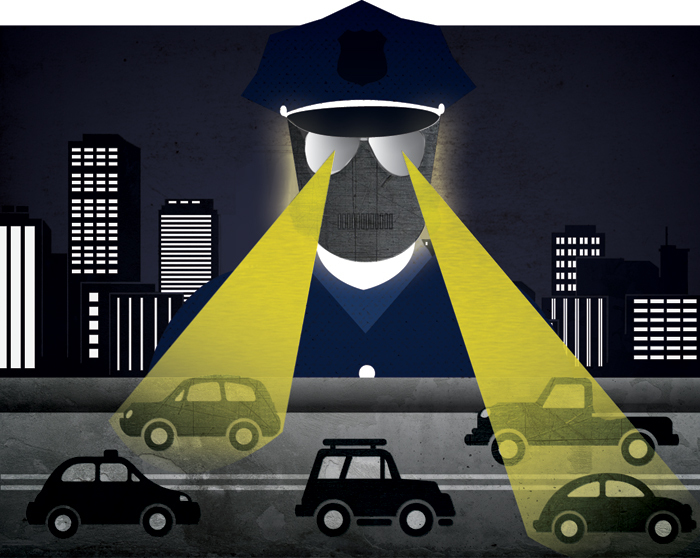 Police do so routinely to look for stolen vehicles and vehicles involved in the committing of crimes. And if officers find a warrant—any warrant—they have to carry it out. Nonetheless, some Las Vegas lawyers are becoming increasingly curious about the checks. Attorney Kristina Wildeveld is concerned drivers could be arrested for mistaken warrants and wind up with a jail stay because of a computer error. Downtown attorney Dayvid Figler, meanwhile, says he has received “a rash of” calls in the past few weeks from clients with warrants they didn’t know they had, and wonders if Metro has for some reason stepped up its efforts, particularly Downtown. “What are the odds that ordinary, law-abiding citizens Downtown are in rapid succession being stopped by the police and being told that they have ancient warrants that all of them have no knowledge of?” he asks. On this topic, both groups steadfastly agree. Figler and Wildeveld suggest you check online to see if you have any surprises looming. The websites of Clark County, Henderson, and North Las Vegas all allow you to search for citations by last name. Unfortunately, the City of Las Vegas site is less helpful: You can’t search by name, only by case number. If you have received a traffic ticket, DUI, or have an outstanding warrant, call the lawyers at Ticket Busters. (702) 666-6666.